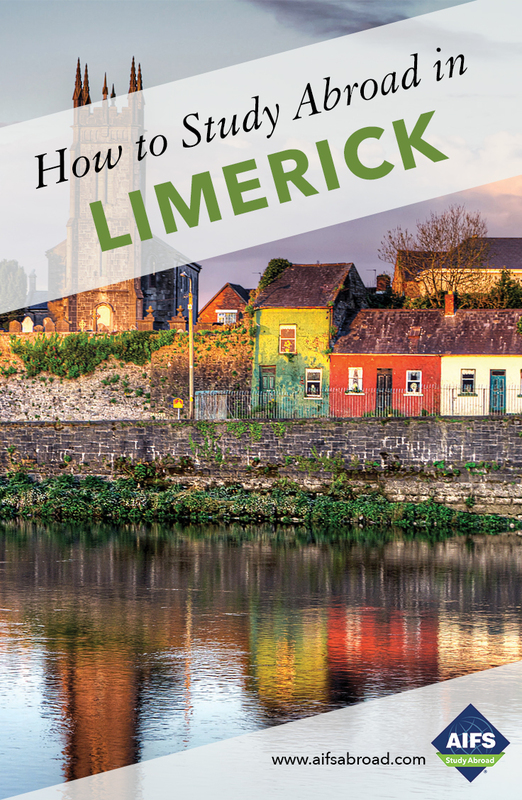 Included in your program fee are a range of day trips and excursions which will take you outside Limerick and deepen your social, historical and cultural understanding of Ireland. There is plenty to see and do in Cork, ‘Ireland’s real capital’ as the locals would have you believe. This island city is surrounded by the River Lee and is packed with historic and contemporary architecture, a mix that sits well with the cozy pubs where you can hear traditional Irish music, eat in lively restaurants and visit arts venues. You will visit Blarney Castle to kiss the famous Blarney Stone and the Titanic Museum in Cobh, the final departure point for the ill-fated ship. There will also be plenty of free time to explore this fascinating city. Includes transportation, bed and breakfast accommodation, guided sightseeing and entrances. The city of Galway is one the most beautiful in Ireland and harks back to a simpler and quieter time. Don’t let that fool you though – there is still plenty going on in this popular city. Located on the River Corrib, Galway’s cobbled streets contain a myriad of music-filled pubs, local craft shops and restaurants as well as the stunning cathedral. Enjoy a guided walking tour, a welcome meal and a day trip into Connemara. Includes transportation, bed and breakfast accommodation, welcome meal, sightseeing and entrances. Visit Killarney the capital of County Kerry also known as “The Kingdom.” Take a guided tour of the 19th Century Muckross House located in the heart of Killarney National Park. Afterwards, experience the beauty of the National Park on a horse and cart tour and visit the spectacular Torc Waterfall. Includes transportation, lunch and entrances. Early morning departure for Dublin city where you will take a sightseeing tour of historical and cultural Dublin and visit the Book of Kells exhibition at Trinity College. You will also have an opportunity to visit the famed Guinness Storehouse. Includes transportation, a guided tour and entrance to the Guinness Storehouse. Visit the Aran Islands located in Galway Bay off the West Coast of Ireland. The three Aran Islands are famous for their historical monuments, geological formation and for being one of the few locations in Ireland where the Irish language, Irish Gaelic, is still spoken. Take a ferry to the islands and have an overnight stay to experience the history, music, dance and culture of Ireland. Explore the virtually untouched landscape by bicycle or horse and cart tour. Includes transportation, bed and breakfast accommodation and guided tour. In the Fall visit West Limerick, Kerry and County Clare. In the Spring visit the seaside town of Lahinch. If you choose, you can engage in additional activities such as historical tours and Irish set dancing. This excursion also includes a visit to the cliffs of Moher. Begin your semester with a 2-night visit to London en-route to Limerick. This will allow you to relax, recover from jet lag and get to know your fellow classmates while touring England’s capital. Take a sightseeing tour with a professional guide who will point out some of London’s most famous landmarks including Buckingham Palace, Westminster Abbey, the Houses of Parliament and the Tower of London. Have time to explore the city on your own where you can take in the gorgeous parks and gardens, see a play in the West End or shop for vintage clothes at Camden Market. Includes accommodations, breakfast, sightseeing tour and local guide. Students must enroll and pay for the optional excursions in the U.S. by the final payment deadline. Once paid for excursions are non-refundable except in the event of cancellation. The University of Limerick International Society also offers optional trips which students can sign up for in Limerick. Dates and itineraries for all excursions are tentative and subject to change.